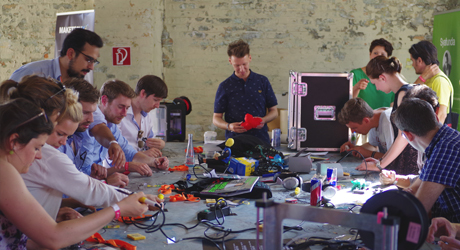 Start-ups, freelancers and companies from around the world like to work at Fab Lab Berlin for the vibrant community, exciting program of events and easy access to digital fabrication tools and rapid prototyping. As a coworker you get 24/7 access to your desk, parking, basic membership, access to the kitchen and a shoulder to cry when your partner leaves you. We take great pride in our community, a friendly and talented collection of individuals (geeks & not) respecting and helping each others while working on fabulous projects. In order to maintain an healthy & happy community we ask everyone to fill in an application before granting a coworking space. 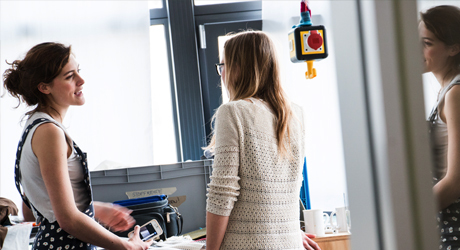 Select a plan that suits your needs and fill in the application form! You get a desk to share with another coworker. You get a desk fully dedicated to your team. You get our biggest desk for your growing team. 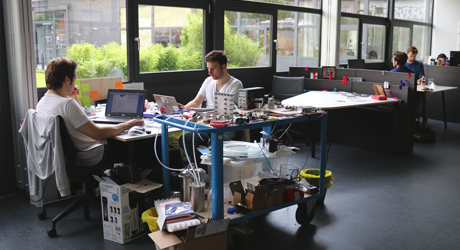 Coworkers will get their own mailbox so they can receive parcels straight to Fab Lab Berlin. Coworkers can leave their tools, material and work-in-progress in their own storage space. Coworkers get free access to industrial partners and network events. Coworkers get 75% discount on space booking for their events.